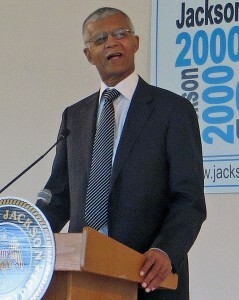 Chokwe Lumumba was a founder of the Malcolm X Grassroots Movement, an activist attorney, and a former City Council member, Lumumba was elected Mayor of Jackson in June 2013 with 86 percent of the vote. He died in late February of a heart attack after “8 transformational months in office.” Yes! magazine has reprinted an excellent interview with Lumumba here and there is an extensive biography here.